Why Stay Top of Mind? An agent’s ability to earn consistently and continuously earn referrals is in direct proportion to their willingness and ability to stay top of mind with their sphere and farm. Consistency. 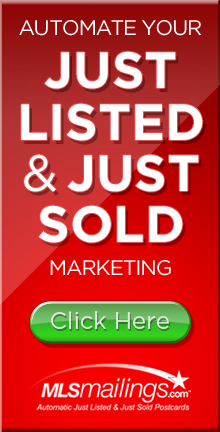 Since the beginning of real estate there have been agents that send one or two massive mailings and when they unsurprisingly get no results, stop marketing. Many others take the “holiday” approach to staying in touch by sending an annual holiday card in the hopes that they are remembered. Both of these approaches are a waste of time, energy and valuable marketing dollars. To stay ahead of the curve, you should be in contact with your sphere of influence at least every 30-45 days. Using the popular send-call-see approach (part of our free BusinessBASETM), you can easily set up a system for contacting your VIPs each month. Send a postcard, letter, newsletter, flyer, novelty or note one month. Many of our customers find the Listing Inventory Series, Content Cards, and Market Dominator among their favorites. One other series that is growing in popularity is one of this month’s Master Marketing Schedule tip which are our Call to Action Postcards which include powerful direct response offers that help make your phone ring! Once you’ve gotten in the habit of “touching” your sphere and farm once a month, be sure to deploy the call part of send-call-see. Call with a friendly event reminder, helpful hint, or just to say hello the following month. During the third month, arrange to see them via a networking event, social gathering or quick in-person visit (with notice, of course) where you drop off a small token, informational item or card. Then start the “rotation” over again. Such consistency creates vital ‘top-of-mind’ awareness that often becomes “the key to the kingdom” when growing your referral base and creating a reliable income. If you’re not sure where to start, our popular Master Marketing Schedule shares monthly Action Items that agents tell us help them stay consistently on track. SEND-CALL-SEE. Be the resource they need and want in a time where consumers have LOTS of questions regarding the value of their property, their buying power, investment opportunities, and what’s happening in their market. You’re not bothering people – you’re providing a SERVICE. What can you SAY when you CALL? Hi. I have buyers, the Smiths (insert real names! 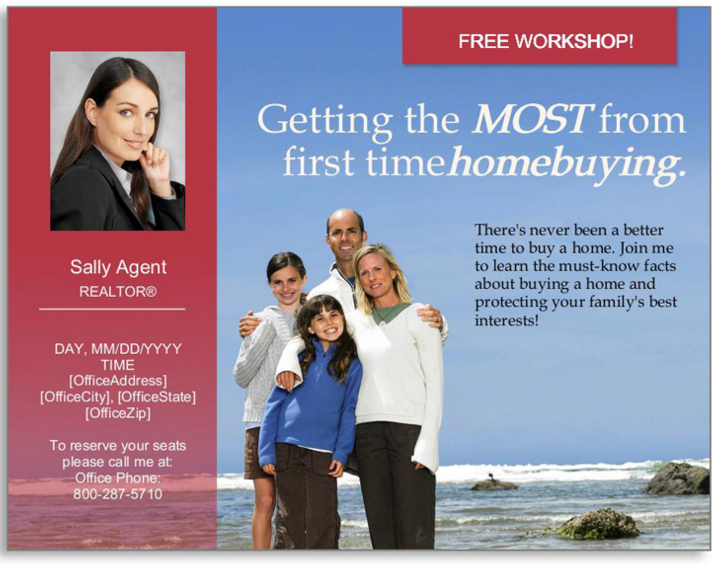 ), that are looking for a home in the _____________ neighborhood, and I wanted to know if you’ve ever thought about selling your home or know someone who is so I can help this nice family find what they are looking for? Hi! Just checking in on you! We’ve got a lot of activity in our market, and I thought you might have some questions—do you? Have you thought about selling your house now or in the near future? Have you been receiving my information? Any questions? Working ON your business requires dedication and a commitment to the activities that earn you top dollar and allow you to “feed” the career you’re building. Never lose sight of the fact that prospecting, presenting and closing should always be at the top of your list. 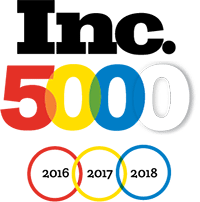 Visit http://www.prospectsplus.com/ to get your FREE copy of our BusinessBASETM (Plus learn the 250 people who should be in your SOI), and be sure to bookmark our Master Marketing ScheduleTM . Go for it. Remember that we’re here if you need anything. Contact our team today at 866.405.3638. We frequently share the BENEFITS of building and maintaining a salable book of business or sphere-of-influence such as knowing where your next commission is going to come from, developing long-term friendships and relationships, solid referrals you can count on, etc. What we don’t usually talk about is the flip side of that coin. What is it COSTING you when you DON’T stay in touch and follow up with your sphere or farm? 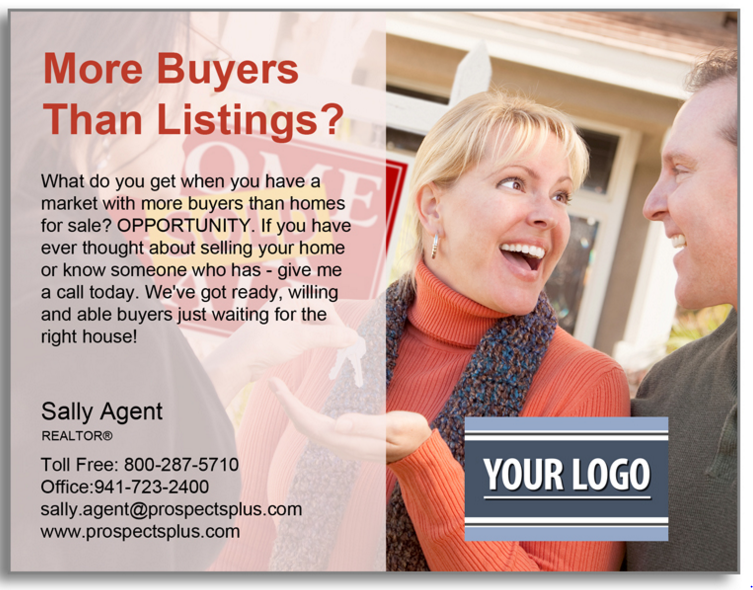 What if ONE prospective seller or buyer fails to call you when they are ready to sell or buy because they ‘forgot’ you were in real estate since you didn’t stay top of mind? Because you didn’t follow up when you said you would? Because you stayed in stealth mode, waiting for the phone to ring? Because you didn’t create a database to manage your lists, so they simply slipped through the lack of system? If I wanted to make $200,000 per year in real estate and my average commission was $6,000 that would mean I would need AT LEAST 33 transactions in a year (plus whatever your fall-through rate is) to reach that goal. If 66% of that is coming from my sphere – that means I can count on 22 of those transactions coming from the people I am staying in touch with. If 1 in 12 are sending me that business, then I’ll need at least 264 in my sphere to hit the numbers. The reverse of that is this…22 commissions LOST. That’s $132,000. But it’s even more than that-right? Because let’s face it, if good news travels fast, bad news travels faster-doesn’t it? So, for every broken promise, lack of follow up, or poor customer experience you provide, that can mean a loss of not just a customer, but every referral they might send your way. Add social media in the mix, “don’t use Agent X because they don’t follow through” – and you’ve got a slippery slope that’s tough to recover from. Lastly, loss of reputation as a turn-to, stand-up, get-the-job-done agent. That’s really too much to calculate, isn’t it? And that’s not YOU anyway! You’re the stand-up agent-right? 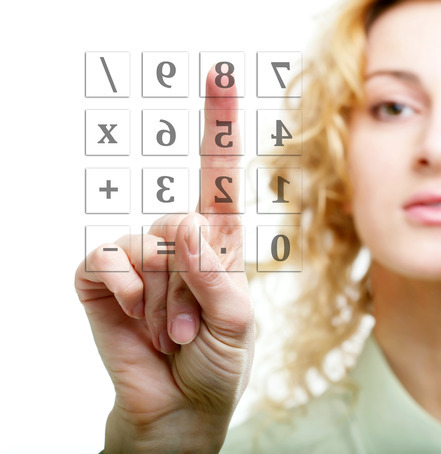 Besides, staying top-of-mind is an easy, and affordable investment. Remember that SEND-CALL-SEE + NETWORK approach I’ve shared in the past. Start with how many you need in your sphere by heading over to our Sphere of Influence Calculator. 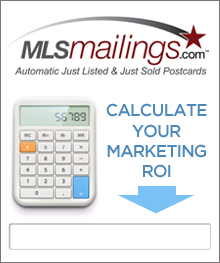 SEND – let’s take our example from above – if I needed to stay in touch with my sphere of 264 customers every 30 days to stay visible, (and help earn that $132,000) – and I wanted to send a standard sized postcard first class, that would be 62¢ per card or $163.68 per month. 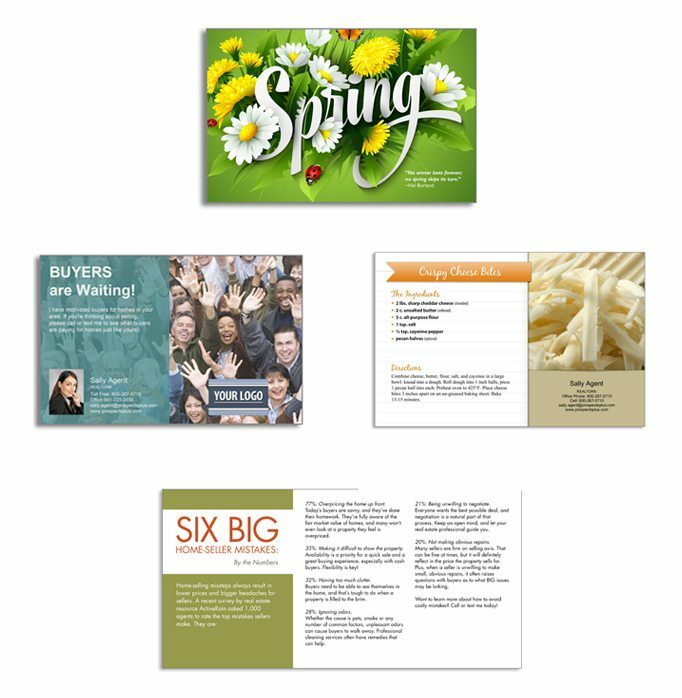 Or you could choose jumbo cards, or newsletters, our Dominator, or even handwritten cards – or better still a combination of all of the above. See what your budget allows and start somewhere, but be consistent every 30-45 days. CALL – you should call your customers every three months. If you break down that 264 number over 12 weeks — that means you just have to call 22 per week to reach everyone. Easy peasy! SEE – you should see your customers at least two times a year. Many agents host open houses, holiday events, or even neighborhood block parties (with sponsors for each) which gives them a chance to see many customers at once. Take that top 20% of your list – the ones who consistently send you business – and be sure to spend some one on one time with them. Take them to lunch. Drop by a gift. Deliver tickets to the movies for their family. Our Master Marketing Schedule has some terrific ways to creatively connect each month. NETWORK – In today’s hyper-connected world, networking has to be part of the equation. From social media to joining local groups, to developing a mastermind of like-minded people to share with — networking is a key source of knowledge AND referral business. Don’t lose any more dollars, branding, or reputation to lack of connectivity. You are your business. The connection you have with each and every one in your sphere will determine whether they stay a client (and a referral source) or whether you take a loss. Need help? Contact our team at 866.405.3638 today. It’s that time of year. The holidays are here and with them much of your competition is settling in – for shorter days, slimmer work calendars and that ‘wait ‘till the first of the year’ slump. Not you. You’ve got your eye on a new year filled with promise and kicked off with momentum-right? Here are three things you can do to create vital PRESENCE now that will carry you through the holidays and long into the New Year with powerful, forward, full-steam-ahead strength. You know what you see a lot of? Agents who ONLY send a postcard or greeting card once a year. Start now and make it a point to ‘touch’ your sphere and farm at LEAST once every 21-30 days for the duration. Consumers today are savvy – they’re not swayed, influenced or impressed by the ‘one-and-done’ marketing efforts. From their perspective? If you’re that lax in how you market YOURSELF – how will you be at marketing THEIR property? Show the consumers in your market place that you’ve got the chops – and the commitment to be front and center not just once, but again and again and again. 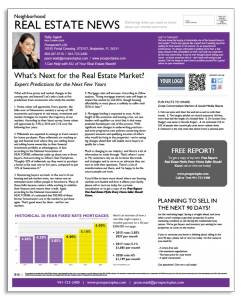 Want to be known as the neighborhood resource or the market specialist? Get out of the office, out from behind your desk and out in FRONT of the people in the community you serve. Make it a point to calendar at least ONE community event in your market per quarter – or even per month. It’s an edge that will set you apart, win favor and create a presence that you’re the top agent to talk to. Team up with your local schools, libraries, chamber of commerce, or even a network of like-minded business professionals to help create awareness, increase attendance and bring a wide spectrum of information to those who want it most. The smartest agents in the business are never satisfied with doing things the ‘same old way’. They’re keeping their ear to the ground, eyes open, and thinking ahead. What can you do to make a splash? How can you best keep the ‘buzz’ going? I love Tony Robbins who has served up the motto ‘Constant And Never Ending Improvement’ for years. In a 24/7, 365 world, you can’t let your skills, your top-of-mind awareness, or your passion to coast or slip to the back burner. Need help? Call us at 866.405.3638. We’ve got answers you can count on. From direct response postcard marketing that keeps you top-of-mind, to Holiday messages that make a difference, to real world resources that you can adopt and make part of that empowered new marketing and business plan for 2017 that we know you are ALREADY working on! Have a great week! Statistics also show us that when you stay in consistent touch, top of mind, and deliver excellent service and show your appreciation, you can expect either a referral or a transaction from one in every twelve people in your sphere. So the questions to ask yourself is do you even know who is in your sphere, and how are you expertly staying in touch with them and delivering that top of mind service and appreciation? If not, you’re leaving a lot of business on the table. One powerful way to tap into spring of referrals starts with two little words: thank you. A long time ago I learned from Floyd Wickman that, “People don’t care what you know until they know that you care.” Show them you care. 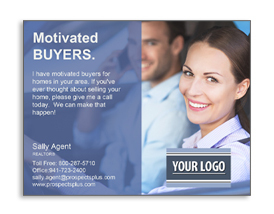 Each month pull a list of every customer in your database who has an anniversary of either the sale or purchase of a home and send them a Customer Appreciation postcard with a personalized message on the back. 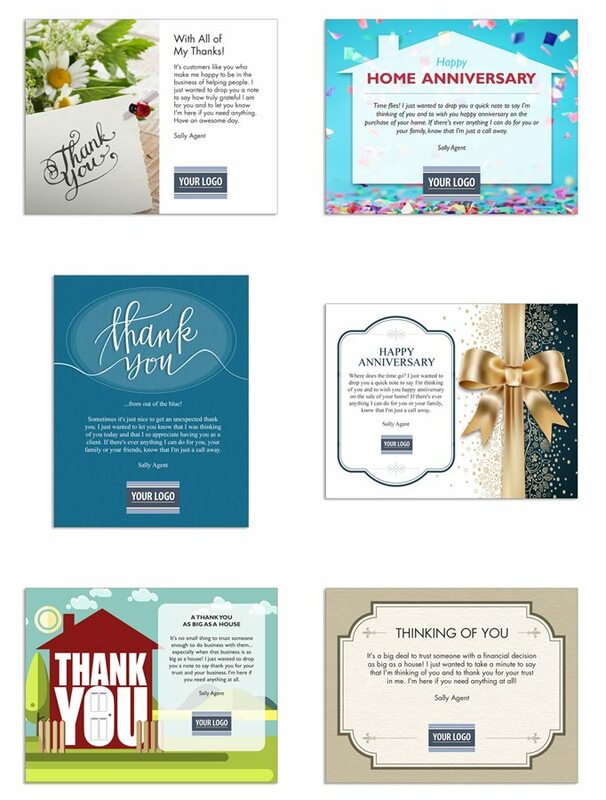 Each month choose 25-50 people from your sphere database and send them either a Thank You or a Thinking of You postcard from the Customer Appreciation series with a personalized message on the back. Each month send a sphere-friendly postcard to the rest of your database to keep your name top of mind. Top customer picks would be the Listing Inventory Series, Content Cards, Holiday Cards, and Recipe Cards. Pull an idea (or a few) from the fun connection suggestions on our Master Marketing Schedule each month. For example, this month, April 22nd, is National Jelly Bean Day. Get little packages of jelly beans to give to clients, the admin staff at your office, co-workers and friends. There’s Chocolate Chip Cookie Day in May for a chance to deliver some tasty treats to ten top clients. Or National Chocolate Day in July, where we suggest you grab ten of those little sampler boxes of chocolate and deliver to ten top clients with a note thanking them for being such a treat! Or Aviation Day in August where we suggest you order cardboard or paper airplanes from www.orientaltrading.com and pass them out to your farm area this day with a note attached saying, “Buying and selling real estate today takes an experienced pilot. I can help ensure you have a terrific landing! Call me today!” The schedule is filled with fun ideas that help you stand out from your competition. Try them! Lastly, never, ever forget to say thank you, in big ways and small. 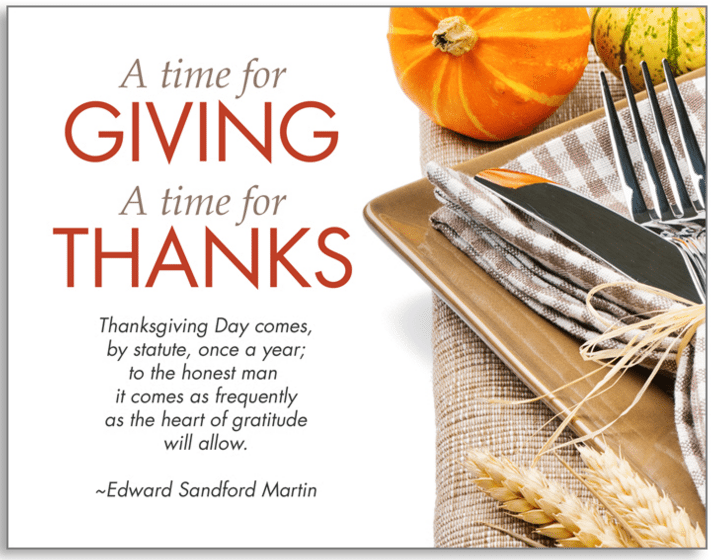 To your customers, clients, colleagues, brokers, assistants, friends and family. It is a gesture that will never go out of style, and will garner you good will again and again. In a business built on relationships with people – good will goes a long way. On that note – a big THANK YOU to all of you who graciously allow us to be your marketing resource of choice! Need help? Call our marketing team today at 866.405.3638 to put the best systems in place to build your business easily, and cost-effectively.